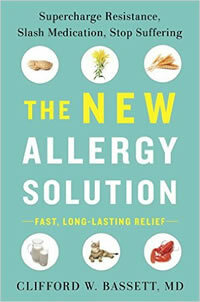 Clifford W. Bassett, M.D., FACAAI, FAAAAI is the founder and medical director of Allergy and Asthma Care of New York and author of “The New Allergy Solution” published by Penguin Random House in 2017. 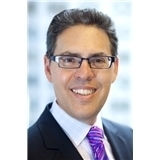 Dr. Bassett is a clinical assistant professor of medicine at New York University School of Medicine and on the teaching faculty at Weill Cornell Medical College. 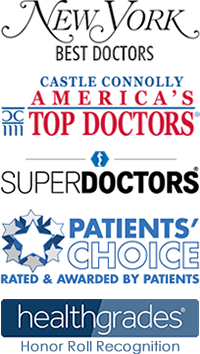 Designated a Top Doctor by both U.S. News and World Report’s, Castle Connolly and their annual New York Magazine Best Doctor Issue. 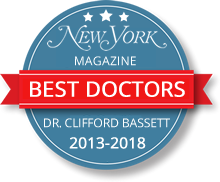 Dr. Bassett is featured regularly by national television, radio and print media outlets including CBS This Morning, Today, Good Morning America, Fox News Channel, CNN, MSNBC, Sirius XM Radio, NPR, The Huffington Post, The Wall Street Journal, USA Today and The New York Times. Dr. Bassett is an expert on seasonal and indoor allergies, sinusitis, allergic skin disorders, and offers informed integrative and whole-body approach to allergy prevention and management. Dr. Bassett has been a frequent lecturer in corporate wellness programs. He is also a frequent contributor to online blogs, websites and countless allergy topics. Some of the magazines he has contributed to include: Women’s Health, Men’s Health, Dr. Oz magazine, Redbook, Good Housekeeping, Parade, Shape, Health, Time, Oprah, Reader’s Digest, AARP and Rodale’s Organic Life among others. His numerous TV appearances and articles can be found on his practice website: www.allergyreliefnyc.com. After starting the therapy, I began noticing my allergies weren’t as severe after 3-4 months and today (about 8 months later) I feel nearly allergy free. No congestion, headaches, stomach problems… and I think most impressive, not one sinus infection! RESIDENCY: Internal Medicine, November 1986- May 1989, Hackensack University Medical Center, Affiliate of University of Medicine & Dentistry of N.J.
American College of Allergy, Asthma & Immunology Annual Meeting, November 2000 “Bassett CW, Pina D, Amara S, Silverman BA, Schneider AT. Asthma Severity, Psychiatric Morbidity & Quality of Life: Correlation with Inhaled Corticosteroid Dose. American Academy of Allergy, Asthma & Immunology Annual Meeting, March 2000 “Amara S, Pina D, Bonala S, Bassett C, Silverman B, Schneider AT. Prevalence of Psychiatric Symptoms in a Population of Urban Adult Outpatients with Asthma, and Their Quality of Life”. American Academy of Allergy, Asthma & Immunology, Annual Meeting November 1993. Oral Presentation. Fear and Loneliness in Asthma: A Psychodynamic Perspective. American Academy of Allergy, Asthma & Immunology, Annual Meeting November 1993. Poster Presentation. Streptococcal Tonsillitis Masquerading as Acute Allergic Urticaria. World Congress of Chest Physicians, Annual Meeting June 1993. Poster Presentation and Abstract. Correlation of Asthma and Severe Anxiety. American College of Allergy, Asthma & Immunology, Annual Meeting March 1993. Poster Presentation and Abstract. Demographic Analysis of Urban Asthma in Brooklyn, New York. American College of Allergy, Asthma & Immunology, Annual Meeting 1992. Oral Presentation and Abstract. Asthma and Anxiety: A New Look. American Academy of Allergy, Asthma & Immunology, Annual Meeting 1992. Bonala SB, Reddy BM, Silverman BA, Bassett CW, Rao YAK, Amara S, Schneider AT. Bone Mineral Density in Women with Asthma on Long Term Inhaled Corticosteroid Therapy. Annals of Allergy, Asthma and Immunology: 85:2000. Vilar ME, Najib NM, Bassett CW, Silverman BA, Schneider AT, Giusti RT, Rosa UW. Allergic Bronchopulmonary Aspergillosis as Presenting Sign of Cystic Fibrosis in an Elderly Man. Annals of Allergy, Asthma and Immunology. 85:70: 2000. Vilar ME, Reddy BM, Bassett CW, Silverman BA, Schneider AT, Rao YAK. Superior Clinical Outcomes of Inner City Asthma Patients Treated in an Allergy Clinic. Annals of Allergy, Asthma and Immunology 84:299:2000. Bonala S, Reddy MB, Silverman B, Bassett C, Amara s, Rao YAK, Schneider AT. Bone Mineral Density in Women with Asthma on Long Term Inhaled Corticosteroid Therapy. Annals of Allergy, Asthma and Immunology.84:138:2000. Pasternak PL, Silverman BA, Bassett CW, Schneider AT. Effects of Inhaled Corticosteroids on Growth and Weight Velocity. Annals of Allergy, Asthma and Immunology. 84:160:2000. Pasternak PL, Silverman BA, Bassett CW, Schneider AT. Effects of Inhaled Corticosteroids on Growth in Children. Journal of Allergy and Clinical Immunology. 105: S105, 2000 (abstract). Vilar ME, Reddy BM, Silverman BA, Bassett C et al. Comparison of Health-Related Quality of Life in Inner City Asthma Patients Followed and Those Not Followed in an Asthma Center. JACI, January 1998. \Chowdhry JA, Najib NM, Silverman BA, Bassett C et. al. 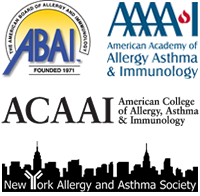 Skin Sensitivity to Common Aeroallergens in Inner City Asthmatics. JACI, January 1998. Vilar ME, Bassett C, Rao YAK, Chiaramonte LT. Abstract. A 71 year old woman with cutaneous eruption after taking one dose of Cefprozil, Annals of Allergy, 1997. Reddy BM, Bassett C, Silverman B, Chiaramonte LT. Abstract. Retrospective analysis: Clinical characteristics of urticaria in an inner city population. Pending publication, Annals of Allergy, 1997. Vilar ME, Reddy BM, Bassett C, Silverman B, Chiaramonte LT. Abstract: Retrospective analysis of an allergy and asthma treatment program in inner city asthma patients. Pending Publication, JACI, 1997. Wheeler GA, Bassett C, Silverman B, Chiaramonte LT. Abstract: Isolated depressed C4 level in a patient with physical urticaria., JACI, 1997. Bassett C, Talusan E, Holtzin L, Kumar S. Abstract: An adverse reaction to propofol in a patient with egg hypersensitivity. Accepted for publication in JACI 1994. Talusan E, Tio R, Bassett C, Dolan C, Chiaramonte LT. Abstract: Emergency room utilization by asthmatics in an urban hospital. Accepted for publication in JACI 1994. Tio R, Schwartz L, Talusan E, Silverman B, Bassett C. Abstract. Seasonal variation in cockroach skin reactivity. Accepted for publication in Annals of Allergy 1993. Schwartz L, Tio R, Indaram J, Bassett C, Silverman B. Abstract. Is house dust immunotherapy obsolete? Accepted for publication in Annals of Allergy 1993. Puuvada L, Silverman B, Bassett C, Chiaramonte LT. Abstract. Systemic reactions to MMR skin testing. Pediatrics Volume 91, April 1993. Bassett C, Talusan E, Silverman B, Chiaramonte LT. Abstract. Correlation of asthma and severe anxiety. Chest 1993. Bassett C, Wolfsohn R. Abstract. Asthma and anxiety. A New Look. Annals of Allergy 1993. Bassett C, Altman D, Chiaramonte LT. Abstract. Public perception of food allergy. JACI Volume 89, No. 1, Pt 2 January 1992. A study of the effects of an intensive osteoporosis prevention program on secondary osteopenia among asthmatic patients using inhaled corticosteroids.